What made Camila Cabello leave the stage early? Fifth harmony was down one member in St Louis Missouri last Friday night. Camila Cabello had to leave early. There was much speculation as to what the reason was. And the remaining singers were quick to jump to her defence to squash most of them. Of course, people are always quick to speculate and a molehill can soon become a mountain. But Camila Cabello put the record straight. Being the professional she is, she apologised to her fans later and cleared up any misunderstanding or untruth that was lingering. 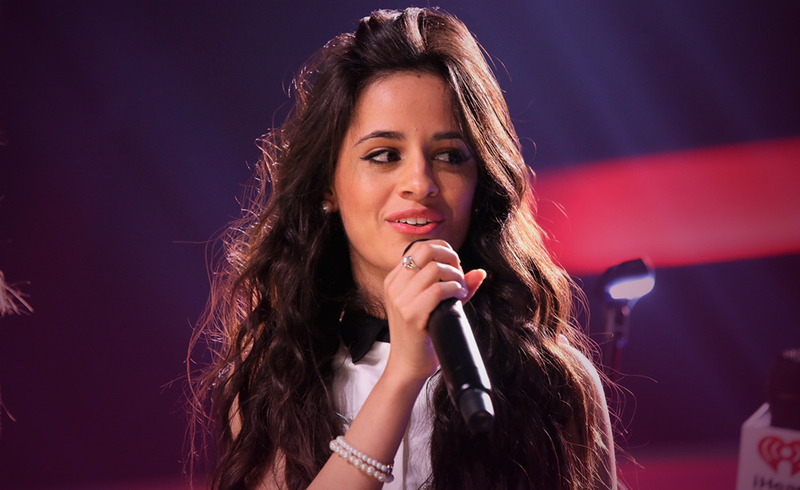 Camila explained to her fans that she simply could not go on. This was because she was having too much anxiety and couldn’t finish it. She went on to say: “I love U. I’m truly sorry.” Thank you Camila for explaining to the public that you are only human. You did the right thing by stopping when your body was telling you to do just that. Far too many wonderful stars over the years depended on drugs to keep them going at times like this. It’s refreshing to see someone do the right thing and just stop. We the public can be very unforgiving and demanding on those we hold in celebrity status. And I’m sure Camila Cabello was aware of this. But she set a good example by listening to her body and stopping. She is only 19 years old and has set a very good example to her young fans. When the world gets too much, it is ok to stop and say you are not coping with this. It is ok to say I can’t go on. And it is ok to ask for space or help whichever you need. Let’s throw some cards out for Camila Cabello, and see what they say about where life is taking you. The three of cups shows that you are surrounded by loved ones and support, even more than you know. You encourage people. Being a Pieces and most Pieces women I know are resourceful. You have to ability to find your way around things easier than most. You may not realise it yet at 19. But give it time. The piece are also very protective of those they love. Sometimes, looking after them at the expense of themselves. So it’s ok to look inward now and again Camila and look after number one. The Sun card shows new doors opening. That does not mean the end of Fifth Harmony. But an opportunity to explore what you as an individual have to offer this world. You have given the world a taste of what you can do. Is it time to step forward and shine even brighter? The Four of Cups again talks about those you love closest to you. Regardless of what the world appears to through at you. You have a solid foundation to fall back on. There is nothing in this world too strong to knock you when they are around. Through them, you will find your hidden inner strengths as time goes by. We wish you good health and every happiness for the future Camila Cabello. From all here at 7th Sense Psychics. Previous ArticleWhat should WAGs Olivia Pierson do about Marcedes Lewis wayward gaze?Next ArticleRichard Cabral splits from wife Janiece Sarduy. Is life imitating art?